We all know that revising is tough. It is difficult to know where to start and very easy to get drawn into other things. Here are a few tips, tools and apps to help you ace your revision and exams! Access past exam papers. Have a look at Tracy’s blog post to learn how to do this. Come to our Revision and Exam Techniques workshop on the 13th Dec 1-3 pm. Don’t forget to live well for learning. Revision and exams can be stressful and time consuming. Make sure you find time for yourself! If you like your technology then you might find these apps and online tools helpful. Managing exam stress and anxiety levels with exercise – it’s all about the endorphins! 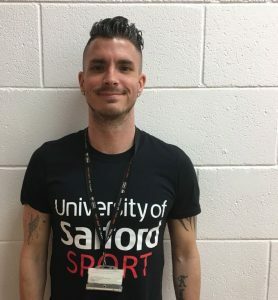 Daley O’Neal from the University Sports Centre has written about the connection between exercise and managing exam stress and anxiety. One of the prevalent feelings for many around exams is anxiety. That feeling of unease and apprehension can leave you worried or fearful about the exam process and your results. All of these feelings are perfectly normal during the exam period. Did you know that exercise can help you to manage these feelings? Exercise is a proven method to help facilitate a person’s ability to perform, succeed and accomplish goals, which of course, is exactly what you want to do in an exam! Studies around Social Cognitive Theory have indicated a strong relationship between exercise and managing anxiety levels. Undertaking regular levels of physical activity can positively impact on our coping mechanisms and helps us to regulate our emotions. While exercise cannot solve all the complex issues and causes of anxiety, it is a proven mechanism for increasing levels of self-belief within challenging situations, positively impacting our self-confidence and resilience levels. Engaging in physical activity on a consistent basis creates a release of endorphins in the body, which provides the platform for increased levels of self-confidence. This endorphin release also improves mood and feelings of self-worth and accomplishment. Is your current level of exercise maintainable? Here are a few pointers from the Sports Centre on how we can help to manage stress and anxiety levels as we head into this busy exam period. Exercise consistency and sustainability are of vital importance, and two of the most fundamental elements of ensuring that you can remain physically active. Regular exercise should play a fundamental role within your everyday life . Ensure to remain active throughout the exam period. The endorphins released through short bouts of exercise may provide that added benefit for you. Breaking away from your studies just to go for a brisk walk could be the perfect tonic for success! Ensure that you are adequately hydrated, and that you are getting the required amounts of protein to help you recover from your workouts. Our fitness instructors are always around to help you develop a personalised, long-term plan. Need help with revision? Here are some tips and tools to help you. We all know that revising is tough. It is difficult to know where to start and very easy to get drawn into other things. Here are a few tips, tools and apps to help you ace your revision! 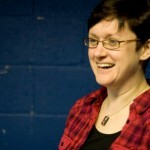 Lynne shares some Shakespearean thoughts about exams in honour of Shakespeare Day. In honour of Shakespeare Day (23rd April), here is the soliloquy Hamlet never delivered while he was at University in Wittenberg. Than chance those questions that we know not of? If you have exams coming up in the next month or so, you might be thinking about how to get the best from your revision. Time! When is/are your exam(s)? Look at your calendar and block out any times you know you can’t revise because you’re at a wedding / in lectures / working / abseiling down the Eiffel Tower. How much time do you have left? Revision tends to work best in small chunks, so try to plan some little-and-often revision slots. Reward yourself! 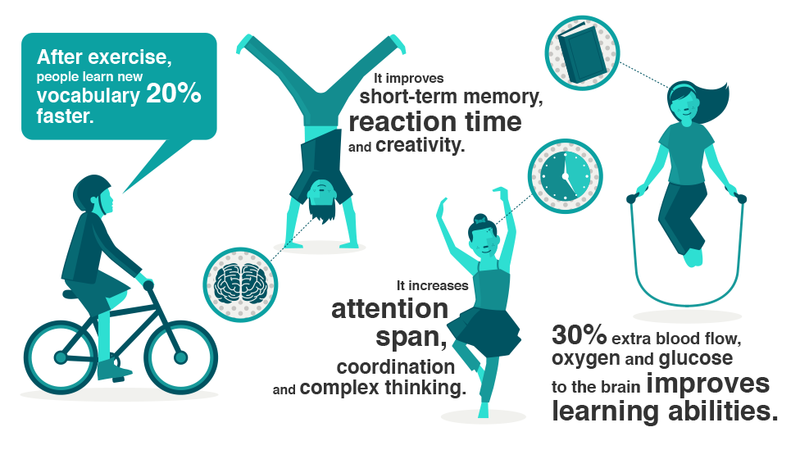 You need breaks, and you need to do something enjoyable to give your brain time to recover from all that revision. Plan some treats, quiet time off or nights out with friends so that you have chance to relax as well as study. Don’t just highlight! Highlighting and re-reading chunks of information probably won’t help it to sink in. Do something ‘active’ with your notes so that you can understand and process the information: rewrite it in different words, draw diagrams, discuss the topic with someone or tell the goldfish everything you know about it. Use past papers! If you have access to past papers, use them. They will help you to become familiar with the kinds of questions you’ll be asked, the wording, the length of answer required and so on. It’s not just a memory test… Exams are about demonstrating understanding of a topic and applying it to a question or situation, not just regurgitating facts. Think about how the things you’re revising would be used in practice or real life. 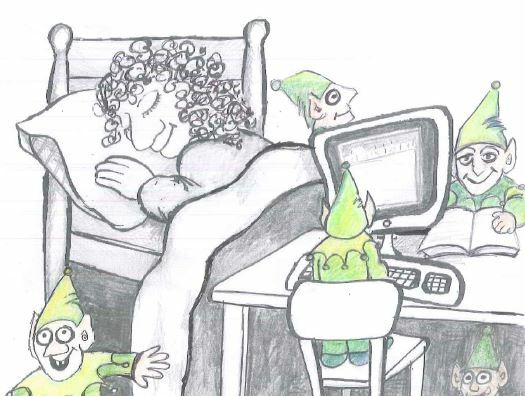 While you are sleeping little elves are not going to come and write your essay or report, finish your dissertation or thesis, or help you revise for your exams. Little elves do not exist. But in a way they sort of do. Do you know how much help you can get in the Library? 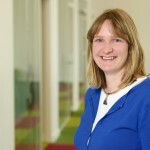 Take a look at the Skills for Learning website. You can come to a free workshop and get help with your writing and referencing, learn how to use Word and Excel, find great information for assignments, and much more.